Descendants Isle of the Lost Uma Costume. 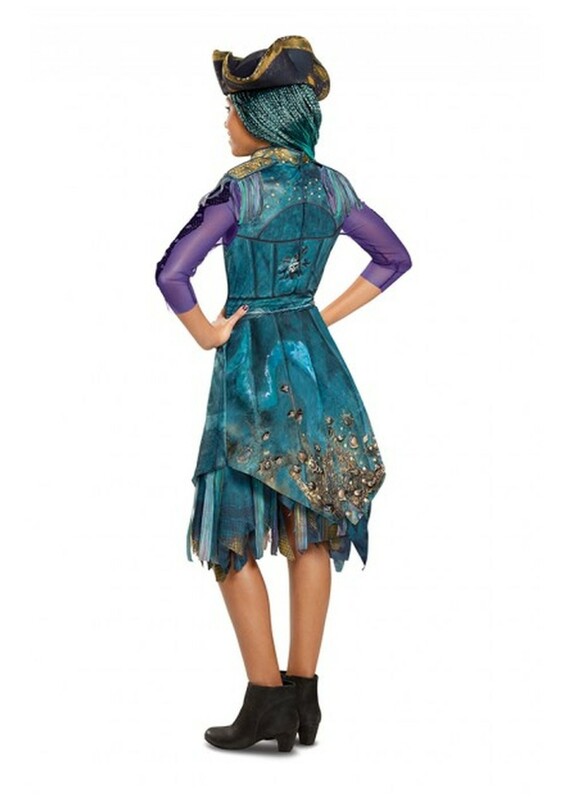 Includes blue dress with attached vest, detachable belt and pirate style hat. Available in girls sizes Small (4-6), Medium (7-8), Large (10-12), and Teen (14-16). When you're the daughter of Ursula the sea witch, you must dress the part. 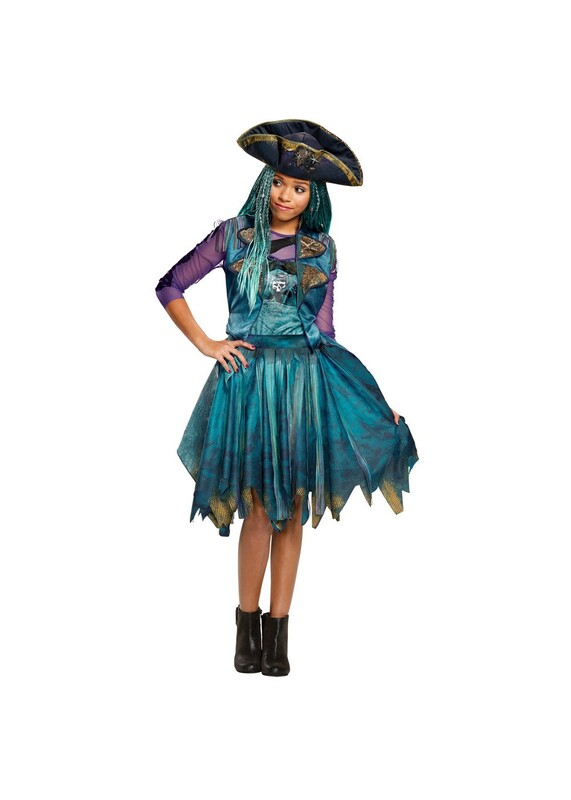 You be fit for the sea and ready to lead your motley crew of pirates in this Uma costume. Just add an Uma wig and shoes and you're ready to be queen of the Isle. 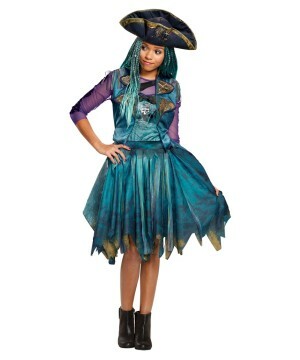 Review(s) for " Descendants Isle Of The Lost Girls Uma Costume"